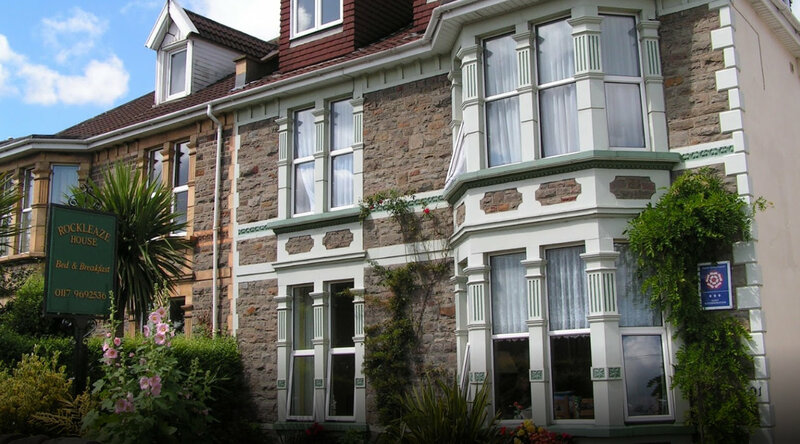 Rockleaze House is an elegant Edwardian guest house set within the charming city of Bristol, which has been rated one of the world’s best cities to live in. Boasting views of Gloucestershire, Somerset, and Wales, Rockleaze is the ideal place to explore the greater region's many tourist spots. Proud owners Colleen and Terry Tovey have run Rockleaze for 17 of its 70 years as a guest house, taking immense pride in ensuring it is always welcoming, clean, and comfortable for its many and varied guests. A professional nurse and aerospace engineer respectively, they have updated Rockleaze House, making sure its Edwardian period-style features are not only restored, but matched with ultra-modern, and often quirky, features. The guest house now features 9 rooms ranging from classic single rooms to superior double and family rooms. This includes a ground floor double with wheelchair access. Every room comes with free WiFi, freeview TV, a washbasin, either an en-suite or shared bathroom, and tea and making facilities. These rooms, spread over three floors include 4 superior rooms and 5 classic rooms. Those on the second floor offer great views of Bristol, South Gloucestershire and South Wales. See our Rooms pages for more information. Also check out our Local Attractions page for some of things you can do and places you can go while staying at Rockleaze House. Rockleaze House is conveniently located near the M4/M5 interchange and is just three miles from the centre of Bristol. This makes it an easy to find lodging and a convenient one for exploring the local region. 91 Gloucester Road North, our address, sits two miles on the A38 from Junction 16 on the M5 motorway north and south bound, and on Junction 1 of the M32 after you come off the M4 motorway. If you are arriving by rail, public transport is available. The closest major train station in Bristol Parkway, but you can take a bus or taxi from Bristol Temple Meads too. 9 different bus services stop directly outside our B&B, and these are the Severn Express, T2, 3A, 3B, 3X, 10, 75, 78, and 79 services.